Hummel is recognised as a total-quality manufacturer of high-performance cable glands and accessories for use within the hazardous area market sector. Our product portfolio also includes metal circular connectors and box enclosures, plus many ‘bespoke OEM customer design’ solutions. With over 60 years manufacturing and warehousing experience Hummel can offer leading solutions in all Ex fields of application. Typical Hummel customers include oil and gas operators, petrochemical and pharmaceutical companies, engineering contractors and other hazardous area equipment manufacturers. Hummel’s new EXIOS Exd explosion-proof cable glands meet the latest IECEx and ATEX standards for armoured cable glands in brass (Exd / Exe / Zone 1, 2 / Zones 20/21/22 Gas Group 11A. 11B / 11C – Apparatus Group 111, IP68/10 Bar EN 605529). They feature a temperature rating of -60°C / +105°C, and halogen and phosphorus-free / silicone seals and O rings as standard. Hummel’s EXIOS Exd cable glands are available in metric from M16 to M75 (other sizes on request). Other metals and finishes apart from brass are also available on request. NPT sizes range from 3/8in to 3in. Hummel provides an extensive range of plastic Exe cable glands, which are made from VO-rated polyimide to UL 94 and IP69 K ingress protection. The cable glands are fully ATEX / ICEEx-approved and offered in metric, PG and NPT with elongated threads, multi-hole /heat trace seals and additional cord protection, as well as seals for high-temperature applications. Hummel offers the same full range of nickel-plated, brass Exe cable glands as plastic Exe cable glands. The brass cable glands are also available in stainless steel. In addition, Hummel provides a full EMC Exe range for effective shielding. Hummel provides Snapflex Exe conduit systems in nickel-plated brass designs for use with nylon conduit systems. Hummel offers a full supplementary range of Exe accessories, including plugs and reducers in both plastic and metal. Hummel’s metal cable glands Exd (unarmoured cables) have a nickel-plated brass design to IP69K with normal and high-temperature seals. The metal cable glands are available in metric, NPT and PG threads, with stainless-steel options, plus a full Exd range of reducers and plugs. 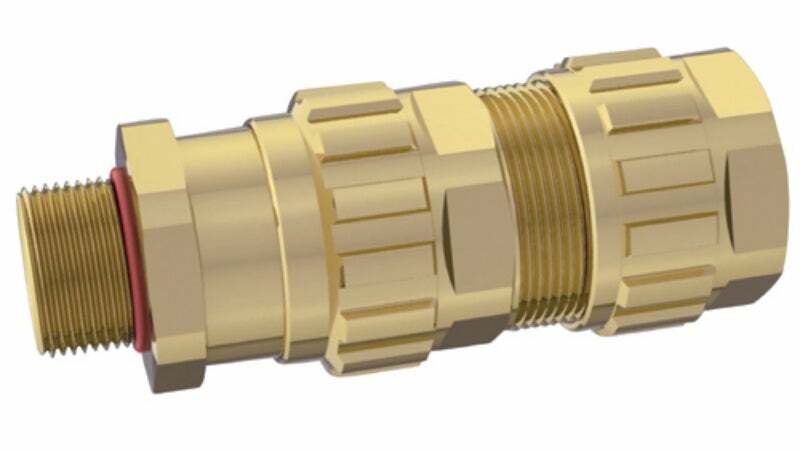 Hummel’s metal cable glands Exe (armoured cables) are made from the latest designs in plain brass, nickel-plated brass, stainless steel and aluminum, for use on SWA and braided cables. The cable glands are approved to IP66, ATEX and Immetro/Cepel, and are available in various temperature ranges. Hummel is planning new and exciting products within the entire cable management range of cable glands, metal circular connectors and box enclosures. Our ability to produce bespoke solutions is outstanding and linked to our commitment to offer safety, flexibility and ease-of-use for all Hummel products. Hummel’s product development within cable glands for hazardous areas has led to new and innovative product designs that assist installation and carry the latest industry approval standards. We hold additional country approvals for areas outside the scope of Europe with licences endorsed by various test institutions. Hummel’s products meet the highest safety standards and our explosion-proof products are manufactured to comply with EN 60079-0 (1 and 7) / ICEEx standards. We hold additional country approvals for areas outside the scope of Europe with licenses endorsed by various test institutions. Hummel’s quality management system is certified to DIN ISO 9001 / 2000. Hummel’s headquarters are located in Germany and its main manufacturing location and warehousing facility is based in Denzlingen in the German Black Forest, with major global manufacturing sites and sales outlets around the world. Our network is complemented by distribution partners in most countries. Hummel is set to exhibit at the 2013 Offshore Technology Conference and Exhibition, which takes place at the Reliant Center in Houston, Texas, US, between 6-9 May, 2013. HUMMEL AG is a German manufacturer of cable glands, circular connectors, enclosure systems, touch panels electronics for medical, measurement and control technology, in addition to fittings for the heating and sanitary equipment industry. Hummel is set to exhibit at the 2012 Offshore Technology Conference and Exhibition, which takes place at the Reliant Center in Houston, Texas, US, between 30 April and May 3, 2012.